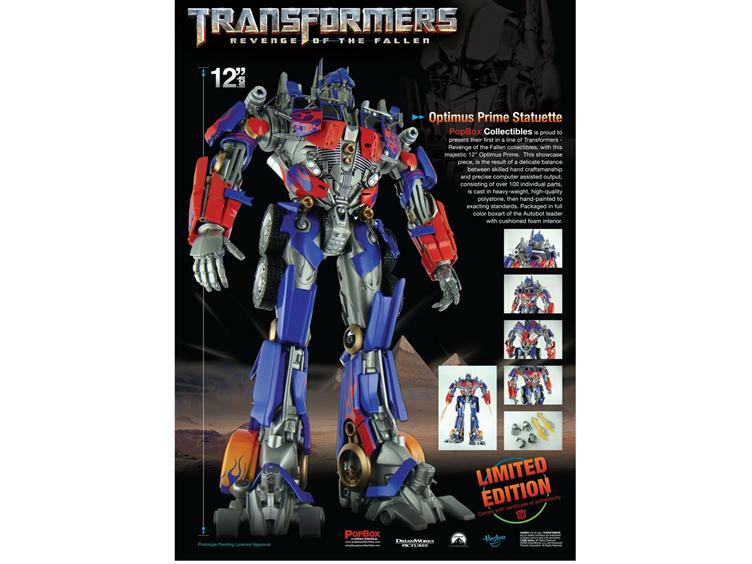 This is a custom limited edition 12″ statuette of Optimus Prime produced by Popbox Collectibles and licensed by Hasbro. Only 500 were made and this is number 258. 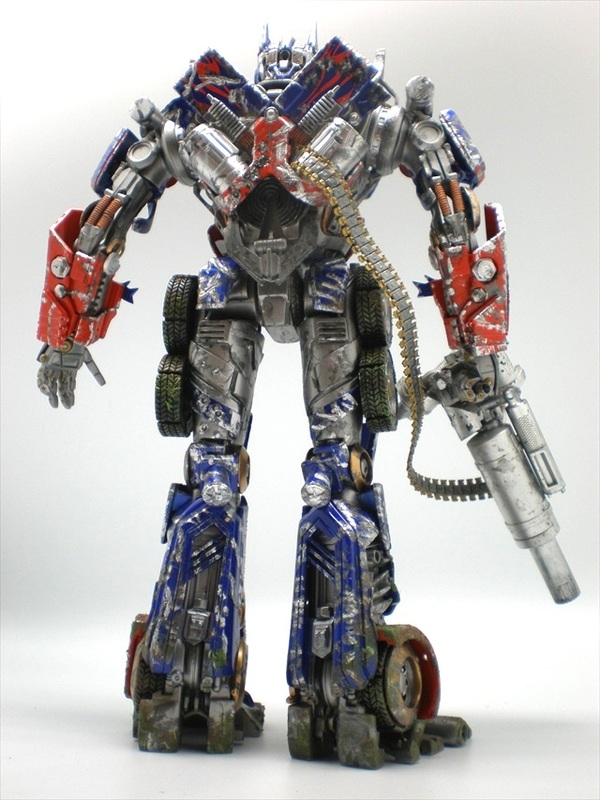 In its original form, it is a beautiful statuette of the movie Optimus Prime. 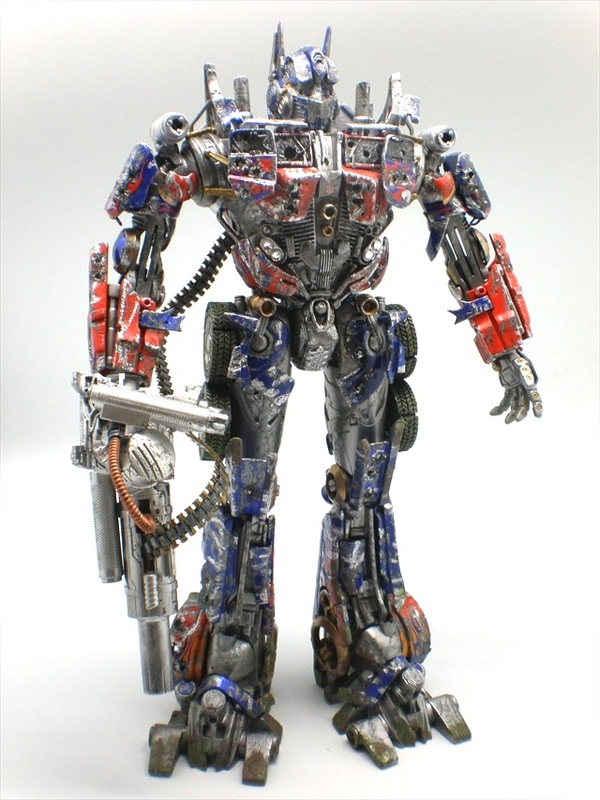 It is slightly taller than the Leader Class Optimus Prime, about the same scale size to Battle Ops Bumble Bee. 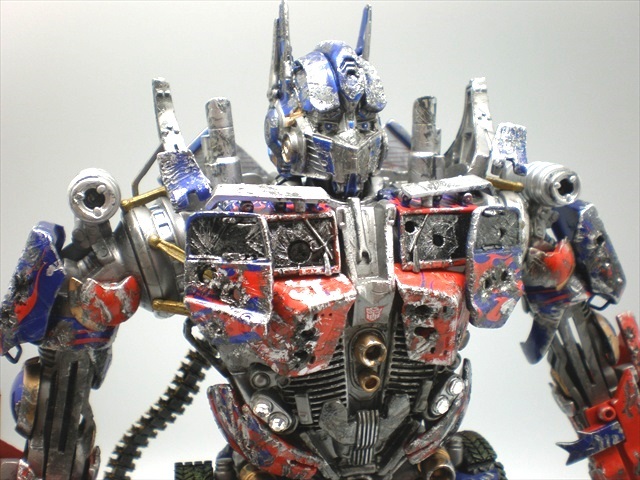 It is highly detailed and the most accurate version of Optimus Prime but it does not transform and in fact does not articulate. It is a statuette, not an action figure. Although it is already a limited edition collectable, to make it truly one of a kind, I decided to give it my battle damage and weathered treatment as well as add a weapon. This now makes it one of a kind and unique in the whole entire world. Some might think I am crazy to “destroy” this statuette but most collectors and the average person would agree the custom statuette has way more attitude and is cooler. 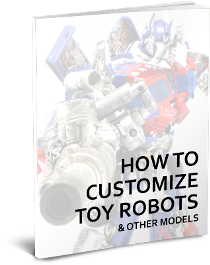 The custom work was not as easy to apply. 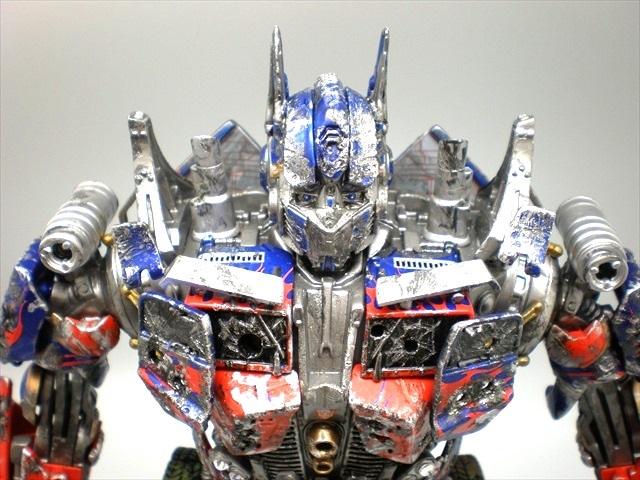 While the figure is made of very good material and high impact, there are also a lot of fragile parts that are delicate. The amount of physical pressure asserted on the statuette had to be very measured. 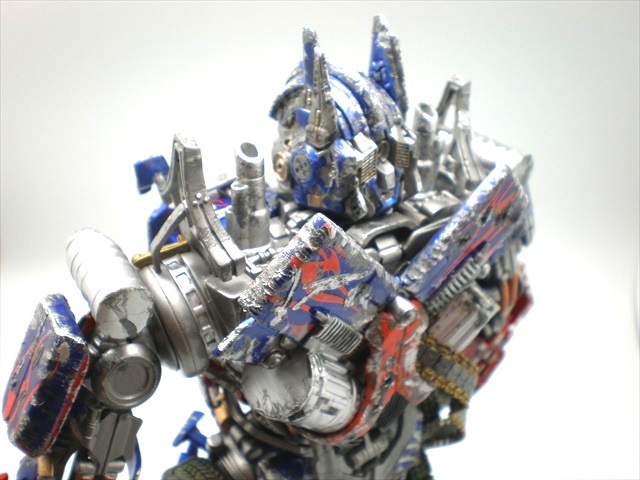 Had I not worked on several custom Primes before this, I would not have dared tackled this piece of art. 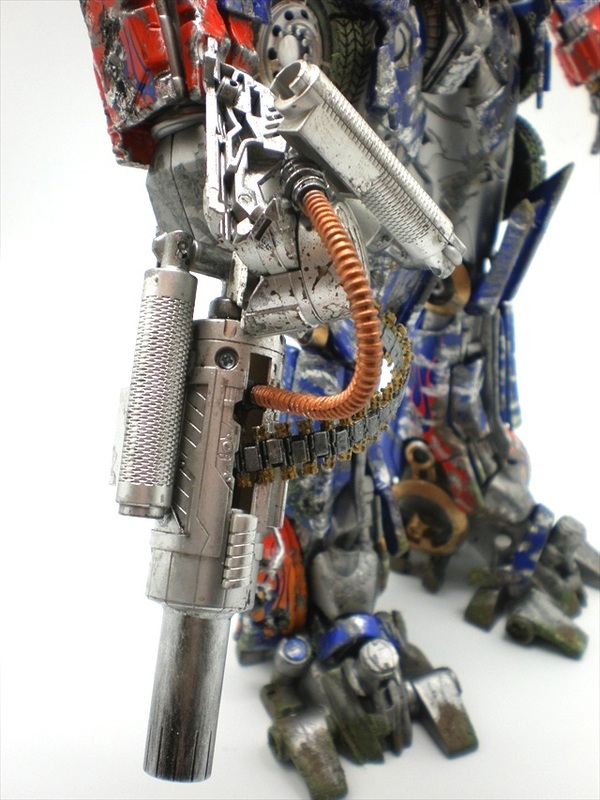 4) Buster Prime Gun with minor additions including a gas tube and ammo belt as well as a custom sculpted handle so the statuette could hold it. 5) White Swarwoski Crystals for search lights on front of abdomen.